Last week at the Full Council Meeting my Opposition colleagues and I voted to have the Council restore the four local sergeants positions that have been cut from Hammersmith and Fulham’s police force this month. The Conservative run Council deployed its block vote and unanimously voted against that proposal. They did admit crime had gone up - with gun crime, burglary and robberies all up from last year but they refused to say why they were voting to stop the Council stepping in and stopping the current round of police cuts. Does the Borough have the money to fund these roles? Consider that H&F Council made the BBC News last weekend for wasting between £5m to £12m on shoddy consultancy contracts; or that a leading Conservative MP condemned the Conservative Administration for spending £5m of tax payers’ money on "political propaganda"; or that they waste millions of pounds on some of the most expensive and unnecessary senior bureaucrats positions in the UK. Put another way the choice is even more straight forward: people in this Borough could have their four police sergeants back or keep paying for just one of the Council's high paid consultants. So yes - the money is there but only if the political will to make this a priority is there. But it wasn't. There are 31 Conservative councillors in Hammersmith and Fulham to 15 Labour councillors. Their votes killed the proposal to restore local police numbers. Police numbers are important. There are lessons from around the world that demonstrates how police numbers make a major difference to cutting crime. Combined with measures that tackle the causes of crime, governments and councils can make real headway into making areas much, much safer. This is not the time to cut police numbers. The public are rightly concerned about knife crime; about increases in violent crime and about the fact that total crime is up in Hammersmith and Fulham for the first time since Ken Livingstone introduced neighbourhood police teams many years ago. 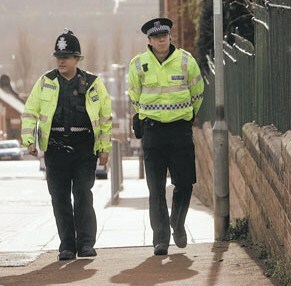 My Labour colleagues will increase police numbers should we win control of the Council in 2014. But we need action now. So, along with local residents, we’ll continue to campaign on this issue. Sooner or later the Conservatives will have to listen and restore those important police officers jobs.